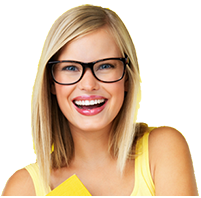 The terms and conditions applied to the sale of spectacles by MyLens are governed by the laws of the State of New South Wales, Australia. In using the MyLens website to order prescription spectacles, contact lenses, sunglasses or other items, acceptance of these terms and conditions forms part of legally binding contract between you and MyLens. In making a purchase from MyLens you undertake that you have read all terms and conditions relating to your purchase and accept them as being a part of the purchase contract. If any one or more of the terms and conditions herein are held to be invalid, unenforceable or illegal for any reason, legal or otherwise, the remaining terms and conditions shall remain valid and remain as an enforceable part of the contract. MyLens retains the right to accept or reject all orders to purchase within 7 days of an order being placed on the website. Any orders rejected or refused by MyLens will be fully refunded within 7 days of the rejection, with the MyLens refusal being notified to the customer by email. MyLens reserves the right to accept or reject any order of goods or services through its website for any reason. All goods sold by MyLens are sold subject to their availability. If orders are unavailable customers will be notified within 7 days of their order being received. Notification will be by email. Unfulfilled orders will attract a full refund within 7 days. The price of goods displayed on the MyLens website includes insurance and handling charges. GST is included in all prices displayed. MyLens reserves the right to change website prices at its discretion. All prices displayed are in Australian dollars ($A). MyLens shall not be liable for any damages whatsoever to you or to anyone else (including special, indirect, consequential, or incidental damages or damages for loss of profits, revenue, or loss of use) arising out of or relating to this website or the information contained therein or the materials, products and services MyLens supplies whether such damages arise in contract, in tort, in equity, under statute, at law or otherwise. All content, materials, goods and services of MyLens are provided on an "as is" and "as available" basis. You acknowledge that your use of all content in this website, and all materials, goods and services provided by MyLens are at your own risk. No goods will be sent to the USA or USA cards accepted. All non prescription eye lenses are only available to customers within Australia and New Zealand. Simply place any order over the value of $99 then enter the promo code 'FF99' and hit ‘apply’ when you checkout to redeem your free freight! Hurry, this offer is only valid until the 31st December 2018 and cannot be used with any other promo.